Silent-Tread underlayment installed under your flooring absorbs sound waves inside the room and blocks other sound transmission to the room below. Used in high-rise condominiums, hotels, office buildings, and other commercial structures that must meet the Building Code requirements for sound transmission from floor to floor. Made from recycled tires, Silent-Tread Commercial Underlayments qualify for Executive Order 13101, and their use can contribute toward LEED Green Building Council Certification. Used in residential applications involving laminate, hardwood and engineered wood flooring. 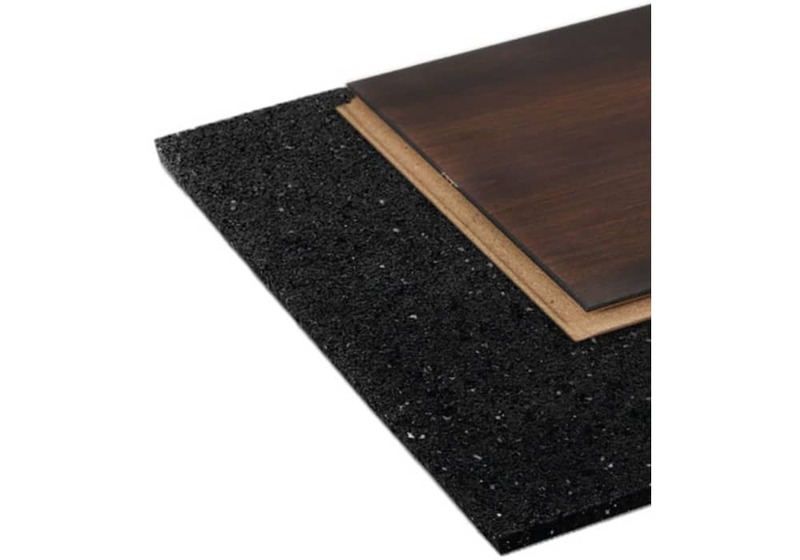 Floor underlayment made from recycled rubber offers sound absorption characteristics that are unmatched by any other material. Available in thicknesses from 2mm to 12mm for both residential and commercial applications. Floor underlayment made from recycled rubber offers sound absorption characteristics that are unmatched by any other material. 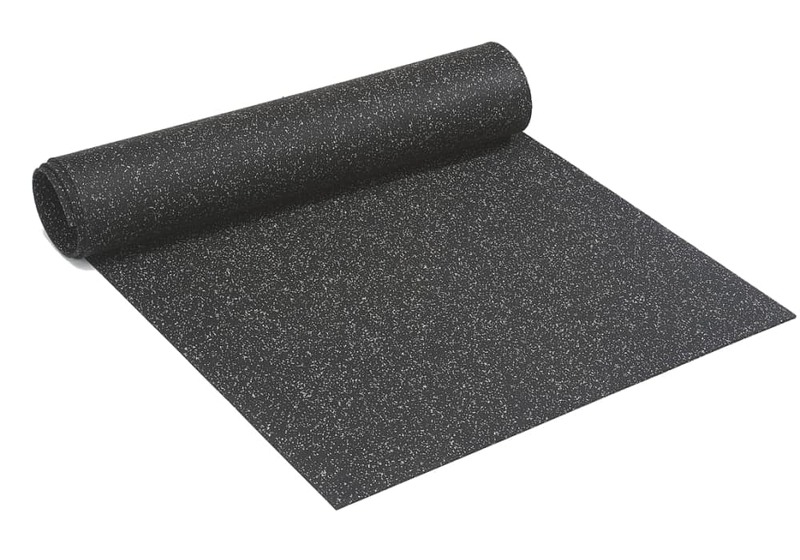 The sound deadening characteristics of recycled rubber are unrivaled and widely recognized, and Silent Tread recycled rubber acoustical underlayment is the perfect choice. 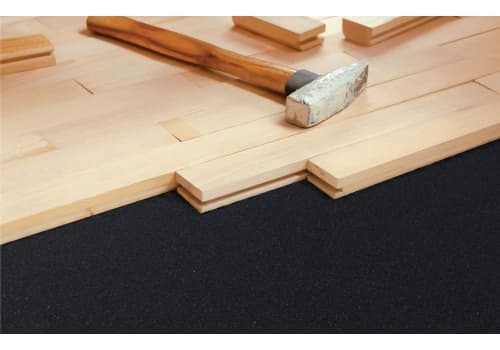 Available in thicknesses from 2mm to 12mm for both residential and commercial applications, this underlayment is also widely used as a base mat for Pad & Pour urethane systems in schools and community centers. Silent-Tread is an acoustical underlayment designed to dramatically reduce sound transmission within a room and floor to floor. When installed in a properly designed flooring system, Silent-Tread can enable a building to meet and exceed national building code and sound reduction requirements. Silent-Tread is the superior choice for high-rises, office buildings, hotels, multi-family buildings, or simply for the personal comfort of the homeowner. In head-to-head testing for sound reduction, Silent-Tread outperformed the competition in actual field installations. The recycled rubber granules provide superior compression resistance so you can enjoy their benefits much longer that with most other underlayments. Solid rubber is without a doubt the most resilient underlayment available. In fact, 2mm of rubber underlayment is equal to 6mm of the next best performing underlayment (which is cork). Your floor is only as good as the surface it is installed over. Recent innovations in laminate, hardwood, engineered wood, and tile continue to exhibit the "hollow" or "pingy" sound with foot traffic, voices, radio, TV, etc. When Silent-Tread is the underlayment of choice, it absorbs the sound waves inside the room and blocks other sound transmission to the room below. Silent-Tread is fabricated from thousands of small rubber granules and offers superior underfoot comfort for standing, walking, or exercising. For very demanding commercial applications, Silent Tread underlayment is available in thicknesses up to 12mm. Millions of square feet of this acoustical underlayment have been successfully installed in many of the most upscale condominiums, hotels/resorts and office buildings in the United States. Silent Tread 2mm acoustical underlayment is for use in residential applications involving laminate, hardwood and engineered wood flooring. Crush-Proof: Silent-Tread is made from a durable rubber material will not be crushed or degraded by the flooring system. It will retain its noise reduction capabilities for the life of the floor. Environmentally Responsible: Made from recycled tires, Silent-Tread qualifies for Executive Order 13101, and it can help toward LEED Green Building Council certification. Warranty: Silent-Tread Residential Underlayments is covered by an industry-leading 20 Year Limited Warranty.